The Boyfriend and I celebrated our anniversary. 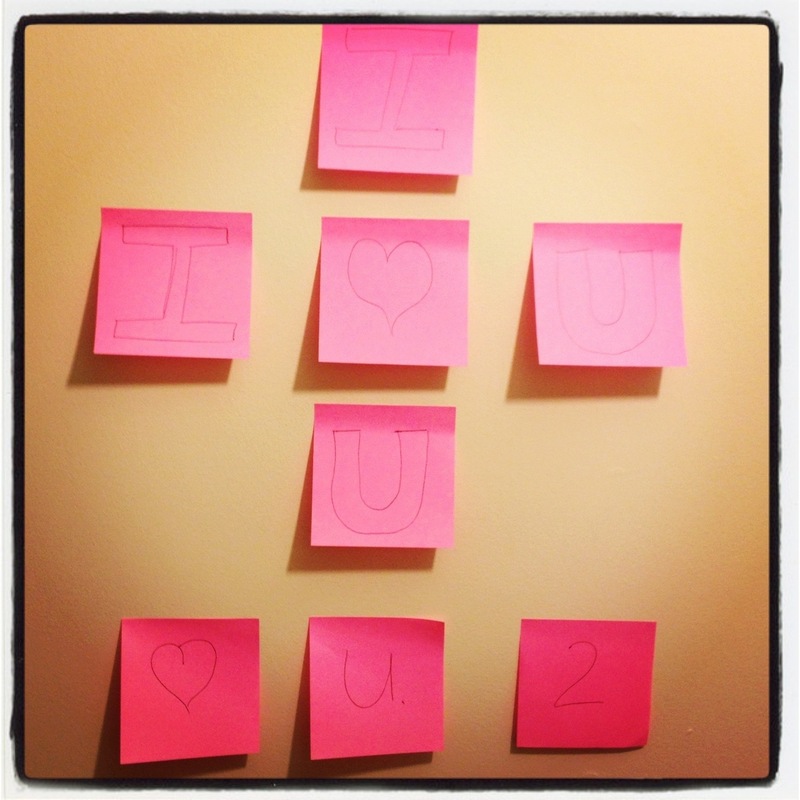 After I went to bed the night before, he left me a post-it note cross on the wall of our flat. As I got up and left before he did, I added, my own reply….